Having bought and sold numerous homes in the US, three with Jack Lewis’ help, we can happily say that Jack is the best realtor we’ve had the pleasure of working with. He defines professional and caring service. His knowledge of the market is unparalleled allowing him to guide you in realizing a fair selling price for your home or a fair purchase price if you are buying. Both times that we worked with Jack to sell a house we sold it to the 1st people who viewed the house. That was only possible because Jack is a master at presentation, at selling the dream. His suggestions on how to present the properties (both inside and out) to their best advantage was invaluable. Not only did he suggest what should be done before we put our houses on the market he had a “rolodex” of contacts who could get those jobs that were beyond our abilities done. Buying the perfect house was a bit more time consuming and I’m happy to say that Jack’s diligence and patience resulted in our finding the perfect home to retire to. I can’t stress how important Jack’s personal knowledge of the market and neighborhoods/communities were in this endeavor. If there was undeveloped property near the house we were looking at Jack invariably knew what, if anything, was planned for it. How possible future plans for that property might effect the neighborhood and ultimately our investment both subjectively and objectively. Jack’s generosity with his time and resources has continued to be invaluable to us.  Having worked with Jack we can not imagine working with any other realtor. We could not recommend him more highly. If you’re considering the services of a real-estate professional, Jack embodies a unique combination of all things you should look for: professionalism, in-depth knowledge, experience, dedication, determination, and personality. We’re very pleased to have him as a most valuable member of our team and you’ll be just as pleased you chose him as your Realtor. Don’t settle, choose Jack! Jack Lewis is an absolute professional. He pays attention to the details that can trip up a transaction, and stays fully involved from start to finish to make sure all facets of the process are being attended to. He has demonstrated his commitment to his profession through higher learning by earning a GRI designation that fewer than 10% of realtors attain.. When Jack is the realtor on a transaction, I know the buyers and sellers do not have to worry about a thing. Jack was a pleasure to work with as his dedication and experience showed throughout the entire process. Jack made sure there was no questions unanswered and he was always very prompt and kept me informed at all times. I would recommend him to all my family and friends. Thanks Jack, for making a stressful process an actual pleasure.